Ahly will launch their Champions League campaign on Tuesday when they host Gabonese side Mounana at Cairo Stadium in the first leg of the competition's round of 32. The eight-time African champions are looking for their ninth continental title and the first since 2012. Coach Hossam El-Badry said earlier that starts are always important, thus the Red Devils are determined to make a winning start in the prestigious competition on Tuesday. 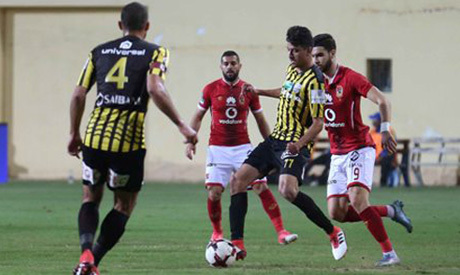 On paper, Ahly's mission against Mounana seems easy given the huge difference between the two sides, but team's coach remain cautious to avoid any surprises, warning his players not to underestimate their opponent. "We're focusing on the start of the Champions League campaign because I know the importance of the African title for the team's management and fans," El-Badry told a radio programme on Monday. "The starting game is important for us and I warned the players about Mounana's squad as they have many talented players." The Red Devils are on the verge of winning their 40th-ever Egyptian League title and their third in a row, cementing their superiority in the domestic league. With their local success, Ahly are looking to restore a time of glory in the continental scene and, according to El-Badry, the players are determined to make a successful campaign this term. Ahly have not won the Champions League title since 2012 when they lifted their eighth continental trophy. They were close to winning the title last year but they lost the final to Moroccan side Wydad 2-1 on aggregate. "Our target is to win the Champions League. This competition is very important for the club's management and our fans and we will do our best to achieve our mission," El-Badry said.